With retirement comes the worry of being able to pay for it. If you’ve planned for years for retirement and still think that you’re going to be stretched a little thin, or you haven’t had the chance to save at all, one thing you need to consider is reducing the size of your house in order to save money. 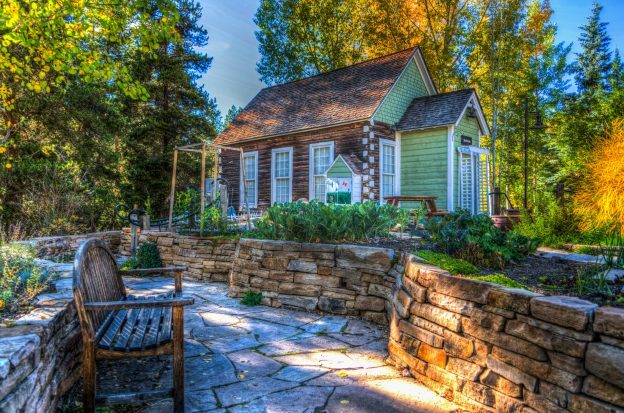 42% of Americans plan on downsizing their house in order to help them afford retirement. There are many great benefits to downsizing your living space as you head into retirement. There are more than a few big reasons how this will help you save money. For one thing, by moving to a smaller house, your mortgage payment will go down. It’s even possible that you could buy a smaller house without the headache of another mortgage. If you own your house outright, you are still paying property taxes for that house every year, and while you probably aren’t ever going to make the tax man go away, a smaller house usually comes with a smaller property tax bill. This logic can also be applied to your utility bills. A smaller place is going to cost a lot less to heat, which will cause your monthly electric or gas bill to plummet. Another place to find savings is in the maintenance of your house. Many people, as they get older, find that they can’t keep up with things like raking the leaves, mowing the grass, or shoveling the sidewalks, especially if they have a huge yard. Some may be able to outsource the job to one of their kids or grandkids, but others find themselves in the position of having to pay people to do these jobs for them. This goes for cleaning the inside as well, which can be costly as the average maid service in the United States is about $160 a month. While moving to a smaller house doesn’t necessarily mean that you won’t need some extra help, it does make the upkeep exponentially cheaper. Through our lives we tend to collect a lot of stuff. In fact, of the people who own a two car garage, 25% of people don’t have enough room to park their car, and 32% only have enough room to park one of their cars. Does this sound familiar? If so, clearing out some of your old and unused items is something that you need to do before you can downsize. But there can be a lot of added benefits to doing this. Holding a garage sale to get rid of some of these items could help fund a vacation. If that sounds like a lot of work, you could always donate these items to a charity, which can help you out come tax day. This comes with the added benefit of helping out those in need. Clearing this stuff out also helps reduce stress, as a study by UCLA reports a correlation between stress levels and a cluttered household. All of this is well and good, but how do you decide what you can part with? If you’re having trouble deciding what to keep and what to get rid of, you can take a few tips from the current decluttering guru, Marie Kondo. By getting rid of the stuff that just sits around and collects dust, you are one step closer to downsizing for retirement as well as a bit more peace of mind. If you need some extra capital to help kick-start your downsizing project, you might consider a life settlement. Did you know you can sell all or a portion of your life insurance policy, even term insurance for more than the cash surrender value? If you have a life insurance policy that you don’t need any more or want to save some more money by getting rid of a monthly premium payment, a life settlement could be right for you. If you want to learn more about it, you can contact us today! Case Study: Don and Sue bought life insurance when they were young to protect their family’s future. The kids are grown and the youngest is 48 years old. Don and Sue no longer need the coverage. Don discovered they could sell all or a portion of their unwanted life insurance policy for an immediate cash payment. Don and Sue sold their life insurance policy and used the proceeds to pay off a few medical bills and check off a few boxes on their bucket list.